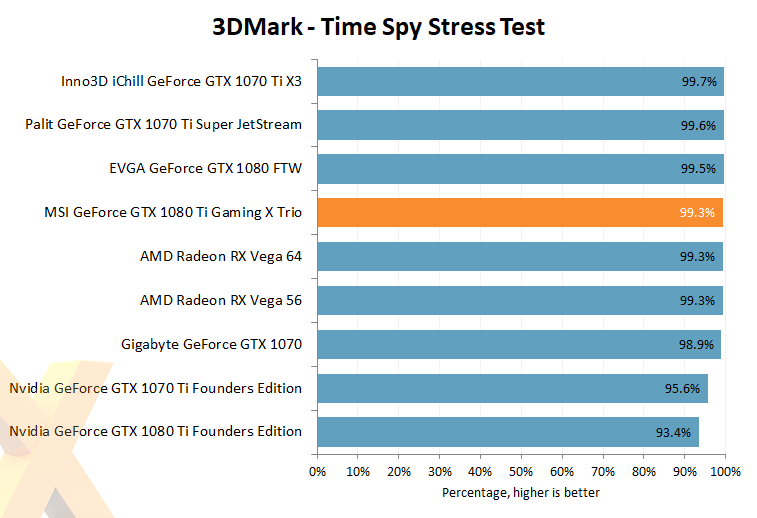 With Nvidia's GeForce GTX 1070 Ti and AMD's Radeon RX Vega occupying our attention in recent months, we'd almost forgotten how GTX 1080 Ti is a class apart in terms of performance. 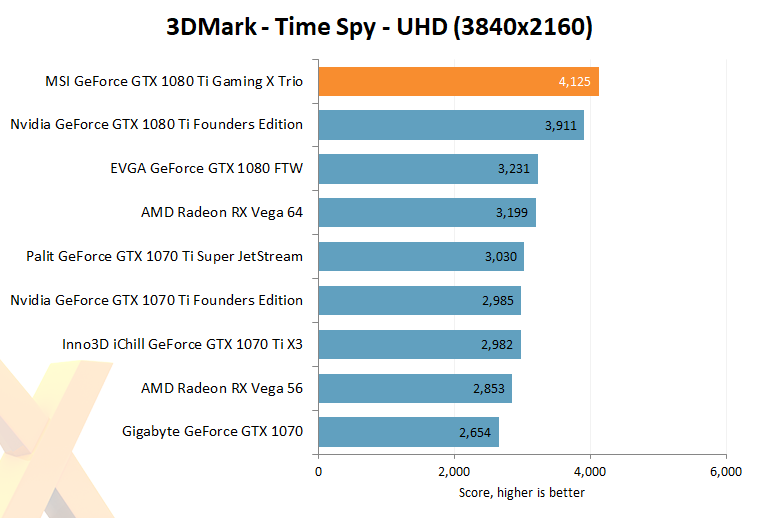 The ability to stand alone in the single-GPU performance stakes is what allows such lofty pricing, and nothing else in the consumer space comes close. 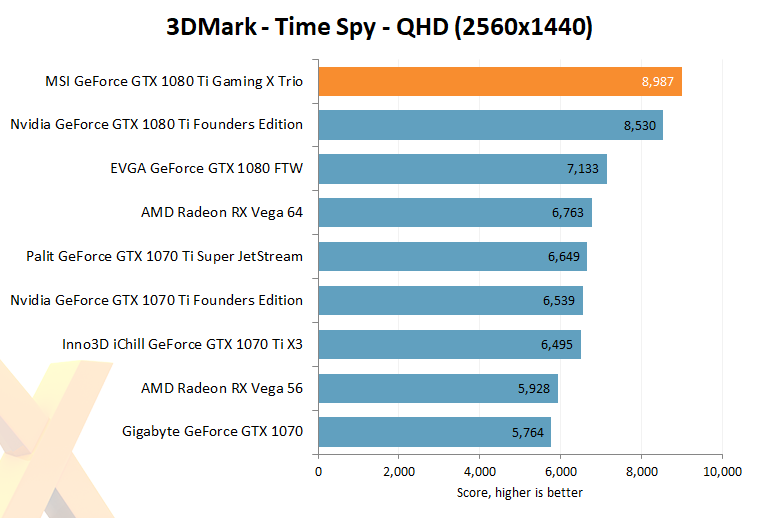 MSI's Gaming X Trio, as expected, tops the chart with a healthy lead over Nvidia's Founders Edition. Hinting at the cooler's potential, MSI's card passes the Stress Test with ease though the same can't be said for the Nvidia reference board.